After five years of experimenting in our nursery, I am convinced that substrate heating in the planted aquarium is key for long-term stability in the planted aquarium. It has consistently performed better with than our tanks that are not heated, with fewer algae problems and substrate problems due to compaction due to organic substance accumulation. While the tanks without it needed a breakdown and refurbish after 12 to 18 months, the tanks with the cables have been stable for over 5 years to date. If you are going to break down your planted aquarium every year to eighteen months then heating cables may not be a useful investment. Dupla, in their "10 Golden Rules for the Optimum Aquarium," says this: "the heating cable (on the bed of the aquarium) integrates the entire bed soil into the chemical and physical cycle of the aquarium by means of the upward current of water caused by it." They liken this to natural streams that are fed by groundwater welling up through the substrate. The groundwater brings nutrients with it, feeding the plant roots, and carries away plant waste material produced by the roots. But it is important to note that when we use substrate heating, we are not trying to copy nature. We are just trying to achieve the same effects in the substrate. Let's recap what substrate heating does for the planted aquarium. It moves nutrients from the water column into the substrate to replace substrate nutrients that are used up especially if you use a plain pea gravel substrate. Vertical water movement through the substrate removes harmful substances out that may be harmful to plant roots. The lower layer of the laterite is considered anaerobic or lacking oxygen and so (especially) iron will not oxidize and be unavailable to the plants when it is bound to the laterite. Warmth in the substrate will accelerate the biochemical process of the nutrient reduction process making the nutrients available to the plants sooner. When we use pea gravel or planted aquarium substrate in the nursery, we never place the cables on the bottom glass as you will lose some of the heat through the bottom. First, lay a quarter inch to a half inch of sandbox sand or washed inert sand down, enough to cover the glass. Next place your cables in a zigzag pattern as indicated in the instructions that come with the cables on top of that layer, placing the suction cups to hold them in place by removing sand where the cups need to go and then pushing sand under the cable around the suction cups. Now lay another quarter inch to half an inch of sand down over the top of the cables. The sand provides an even heat. Now add a thin layer of laterite over that, just enough to cover it well, and then 2.5 to 3 inches of rinsed pea gravel on top of that. 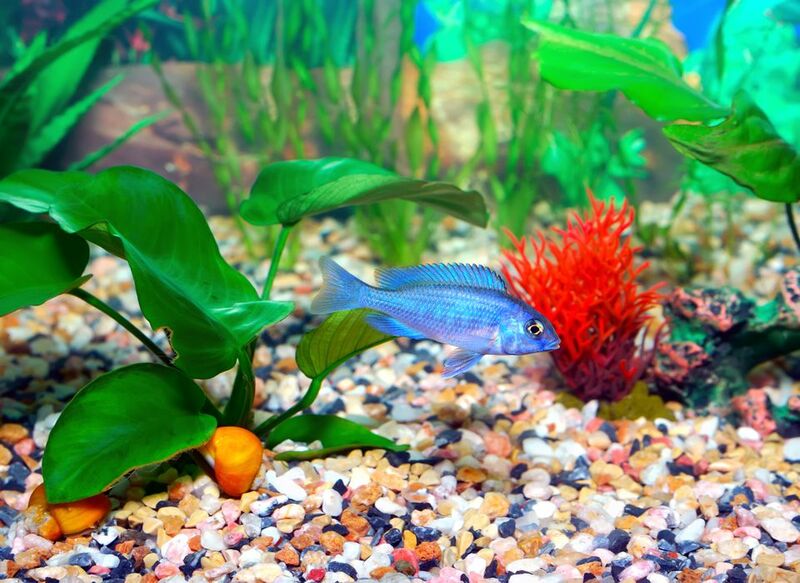 If you have planted aquarium substrates like EcoComplete or Flourite (composed of larger and smaller grains where the smaller grains migrate to the bottom) then lay that directly over the sand layer. Turn your cables on and you are ready to go.